Come to the desert to find what you are seeking, even if you know not what that is. Search for truth, simplicity, beauty, nature, direction, meaning. Search for your place. Still the noises in your head and the traffic sounds of a commuter’s life to find quiet. Come to the desert and find an abundant land blessed by silence. If you are lucky you can soak up that silence to use as a key to open up new worlds of reflection, of purity, of connection and the truth that you are seeking. An adventure there can strip away the trappings of a busy life that tend to clutter you up and drag you down. In the desert you can find yourself, your stillness and your hidden meaning. 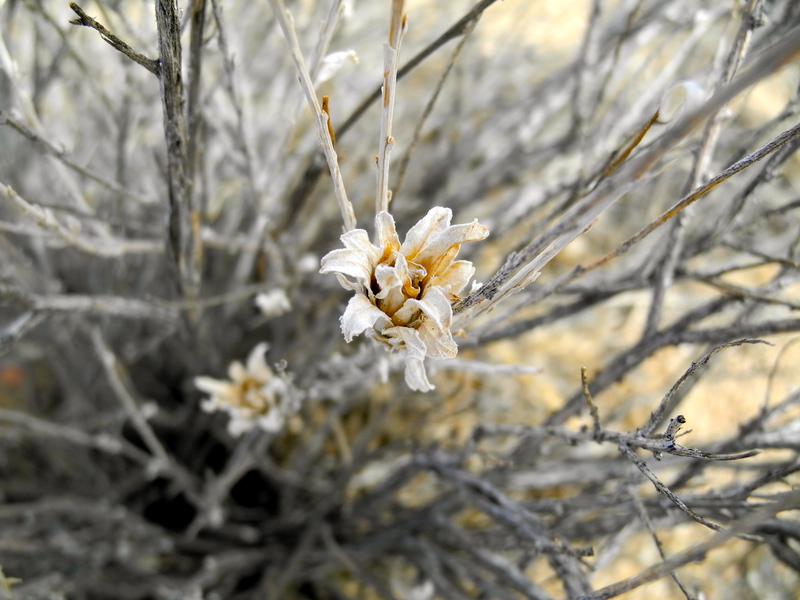 Desert weed flower, you are there, tucked deep inside the warrior spears of your plant, protected from the harsh winds that rattle loose other’s petals. I must look closely, quietly, with my eyes trained towards the ground in order to find you. I seek you out because I can sense that you are there waiting, patient and quiet, unassuming and beautiful in the desert sun. Weed lovers, may you find a quiet place within you today to visit that feels like truth. Thank you dear Kwesti. I do so appreciate your enthusiasm!